Welcome to Westfield Dental! Your Home for trusted Cosmetic and Family Dentistry in Houston! At Westfield Dental, the health of your smile is of the highest priority. Our compassionate dentists, Jason Derr, DDS, and David Ashmore, DDS proudly provide patients and their families exceptional dental care for maintaining long-lasting oral health while enhancing the natural vibrancy of smiles. From comprehensive check-ups and preventive dental care to more complex cosmetic dental procedures, our team happily treats patients from five to 100! And the procedures we offer are tailored to meet each patients’ unique dental needs. We invite you and your loved ones to discover the level of care we provide that has made us a staple in the Houston community for many years. Contact us today to schedule an appointment! We believe that all good things begin with a beautiful, healthy smile. With this mission in mind, our team provides comprehensive dental care to patients designed to improve dental function while helping you achieve our smile’s ideal appearance. Our entire team believes that effective dental care is truly successful when patients feel respected and comfortable in a clean, modern, and relaxing environment. To provide you with beautiful, long-lasting treatment results, we implement cutting-edge technology into each of our procedures. From precise, digital imaging to intraoral cameras and x-rays, this innovative technology allows us to diagnose accurately and effectively treat existing or underlying oral health issues. When combined with our compassion and enthusiasm for helping others, patients can receive dental care in a truly stress-free environment. Often, our nervous patients find that our approach to care helps alleviate their dental fears, allowing you and your loved ones to receive the dental treatment you need that are also worry-free. Schedule Your Way to a Healthy and Beautiful Smile Today! We’re here to support the best oral health for you and your family with personalized dental care. We respect our patients’ appointments and always an effort to make sure we’re able to provide care promptly. If you have questions or are ready to schedule your next dental visit, contact our team today! Schedule an Appointment at Westfield Dental! 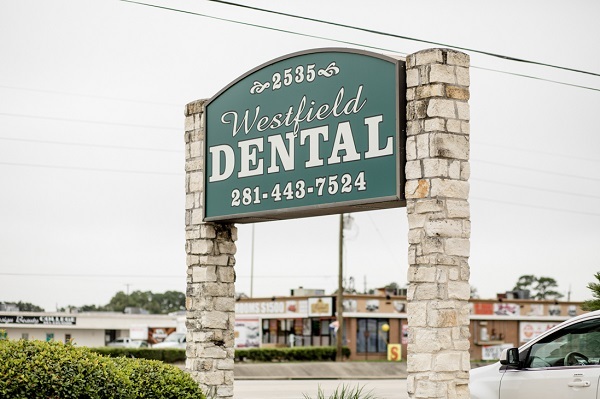 Houston Dentists at Westfield Dental are dedicated to family dentistry such as Exams, Teeth Whitening, Veneers and more. We are looking forward to your visit to our Houston, Texas dental office.